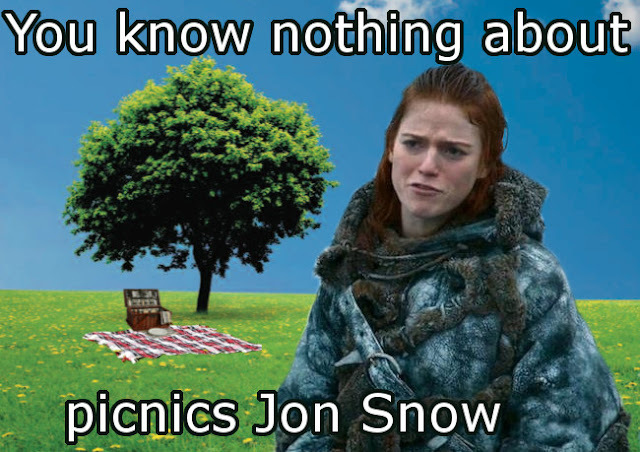 We thought we would have a go at our very own Game of Thrones funny picnic picture. The very popular HBO show has many characters to choose from. Our first go we chose Ygritte telling Jon Snow he knows nothing about picnics. If you have any ideas or thoughts how we could have made this picture either funnier or more believable we would love to hear from you below. Don't be afraid to tell us if you liked or disliked it as well.